Tales of the Cocktail 2018 Spirited Awards! 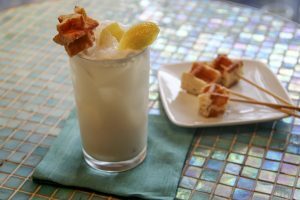 Calling all cocktail enthusiasts! What do you get when you combine thousands of mixologists, spirit industry professionals, bar enthusiasts, and lots of libations all in one week? Tales of the Cocktail, of course! This week, I’m heading south to New Orleans, the birthplace of the cocktail as we know it today, for a spirited gathering of industry elite from around the world! Held annually, the week features seminars, parties, and cocktailing galore in this boozy 24-hour playground. It can be a liver workout – trust me! And every year they hold a cocktail completion around a classic libation – this year it was the best twist on a French 75, one of my all-time favorite cocktails. But the big event of the week is the Spirited Awards. 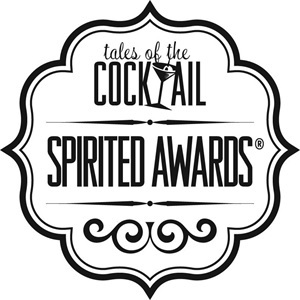 Since their debut in 2007, the Spirited Awards have recognized the best and brightest in the cocktail and spirits industries, from bartenders and brand ambassadors to bars and writers. It has become one of the most coveted honors an industry professional can receive! Each year, a panel of over 140 industry experts (including yours truly! ), take part in a month-long voting process to choose their picks for Awards finalists. Check out the full listing of this years Top 4 Nominees in Each Category Here! Not only is the festival SO much fun, it’s a great place to see and taste the latest and greatest trends and new spirits. And good news- tickets are open to the public. So if you’re looking for a reason to expand your liquor knowledge and visit NOLA- Tales of the Cocktail is the perfect excuse. 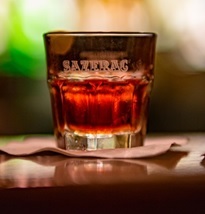 The Sazerac Coffeehouse where this cocktail earned its name, made the switch from the original brandy to rye and gained a dash of absinthe. The rest, as they say, is history! 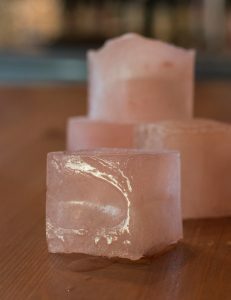 Rinse a chilled Old Fashioned glass with Ricard or absinthe; set aside. In a mixing glass, measure in the rye, syrup and bitters. Fill mixing glass 3/4 full with ice and stir swiftly for 20 seconds. 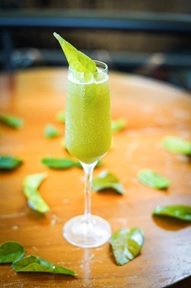 Strain into liqueur-rinsed glass without ice. Squeeze lemon disk over top of drink then drop in. 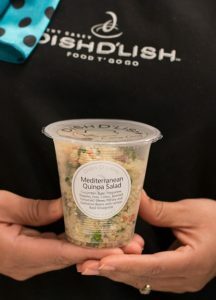 Want to know the biggest trends happening in the Food & Beverage industry right now? 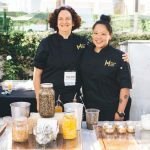 The Flavor Experience conference was the place to be this summer to get the delicious scoop! 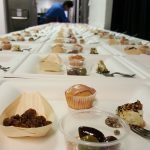 Chefs, mixologists and industry gurus came together to share ideas, techniques and all things flavorful! 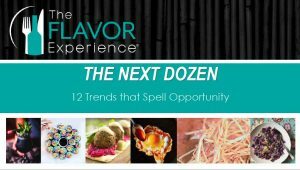 For the 2nd year in a row, Kathy Casey teamed up with industry heavy hitters: Data trend guru and menu consultant, Maeve Webster of Menu Matters and Cathy Holley, Editor-in-Chief of Flavor & the Menu to present “The Next Dozen” 12 Trends That Spell Opportunity. 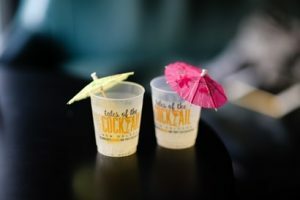 Cheers Magazine shared some of the #SippingSocial beverage trends that I’ve seen posted on social media and that I presented at this year’s NRA conference’s BAR event. 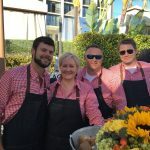 Check out www.LiquidKitchen.com for a link to my presentation and don’t forget to tag #SippingSocial for all the cool drink ideas that you see.